And What Happened in Uzbekistan? With the mystery of alleged sonic attacks on American diplomats in Havana still unresolved, a new development has caused some to point to a familiar foe: Russia. The State Department recently received another report of a possible covert attack on US foreign officials, sources told CBS news. 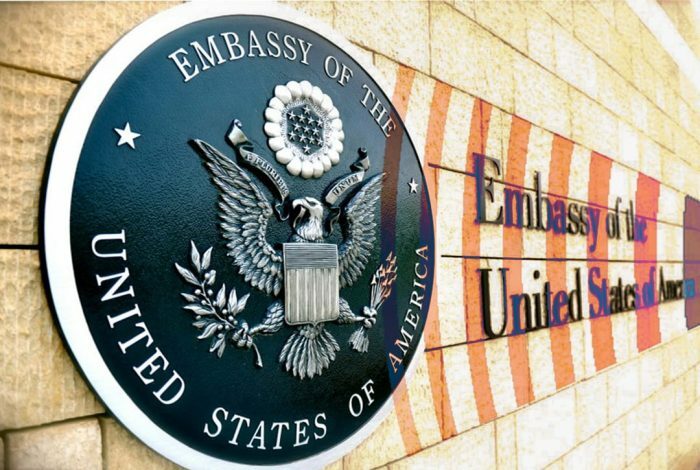 This time, the report came from an American couple based at the US embassy in the central Asian country of Uzbekistan. This latest incident casts further doubt on the theory that it was Cuba that had allegedly used a mysterious weapon on American diplomats in Havana. Experts tell WhoWhatWhy that Russia stands to gain from both incidents. The official and his wife experienced a range of symptoms and injuries similar to those reported by the US diplomats in Cuba, including hearing loss, cognitive impairment, insomnia, dizziness and mild brain trauma. Some experts have chalked up the Cuba incidents to “botched surveillance” while others have hypothesized mere “hysteria.” Whatever the explanation, it is clear that the events there have damaged already fragile US-Cuba relations. The most likely beneficiary of this development is Russia, says Christopher Sabatini, lecturer on international relations and policy at the Columbia University School of International and Public Affairs. There is a historical precedent of Russia using mysterious nonlethal technologies. During the Cold War, Russia deployed low-level microwaves — known then as the “Moscow signal” — against the US Embassy in Moscow. The incident in Uzbekistan raises deeper suspicion that Russia may be involved in both alleged attacks. Its strategic interests and growing influence in both Cuba and Uzbekistan suggest intriguing parallels. Cuba has condemned the attack. Cuban Foreign Minister Bruno Rodriguez called suspicions that Cuba targeted US diplomats “political manipulation aimed at damaging bilateral relations.” The former Chief of US Interests Section Havana, Vicki Huddleston, explained that the Cuban government is in a tough spot. Russia’s motives for trying to disrupt warmer US-Cuba relations seem clear from a zero-sum-game view of Big Power diplomacy: anything that boosts US standing in Havana diminishes Russian influence in its long-time Caribbean satellite. Russia and the US have also been vying for influence in Central Asia. Uzbekistan declared independence in 1991 during the collapse of the Soviet Union. President Shavkat Mirziyoyev assumed office in 2016 after the death of president Islam Karimov, who had served as a government official since before the fall of the Soviet Union. 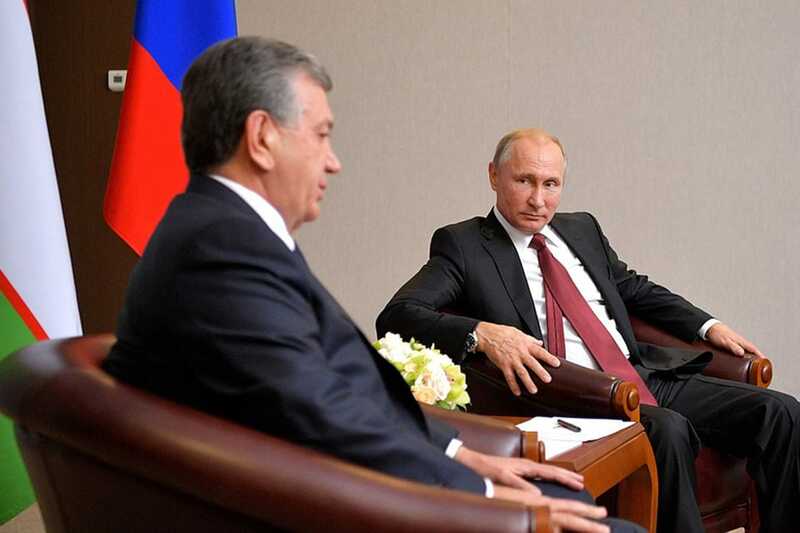 Vladimir Putin (right) with President of Uzbekistan Shavkat Mirziyoyev. Karimov led an independent and isolationist Uzbekistan but cooperated with the US in the “War on Terror.” At the time of Karimov’s death, Russian President Vladimir Putin stated that he hoped a pro-Russian leader would succeed Karimov. Mirziyoyev seems to fit the bill, having agreed to carry out joint military drills with Russia. This development suggests that Uzbekistan plans to join the Russian-led Collective Security Treaty Organization, Putin’s counter-balance to NATO. Meanwhile, the Islamic Movement of Uzbekistan, formed in 1998 with the objective of overthrowing the government and installing an Islamic state under Sharia law, has pledged allegiance to ISIS. The US views Uzbekistan as an ISIS recruitment center. While President Donald Trump and Putin have issued a joint statement on fighting ISIS in Syria, US-Russia relations are still characterized by antagonism and suspicion. Three days after Trump and Putin’s joint statement, Russia’s Ministry of Defense offered “irrefutable evidence” that the US was assisting ISIS forces “to promote the American interests in the Middle East.” The evidence, though, was later revealed to be footage of military operations of the Iraqi air force and a screenshot from the mobile phone game AC-130 Gunship Simulator: Special Ops Squadron. 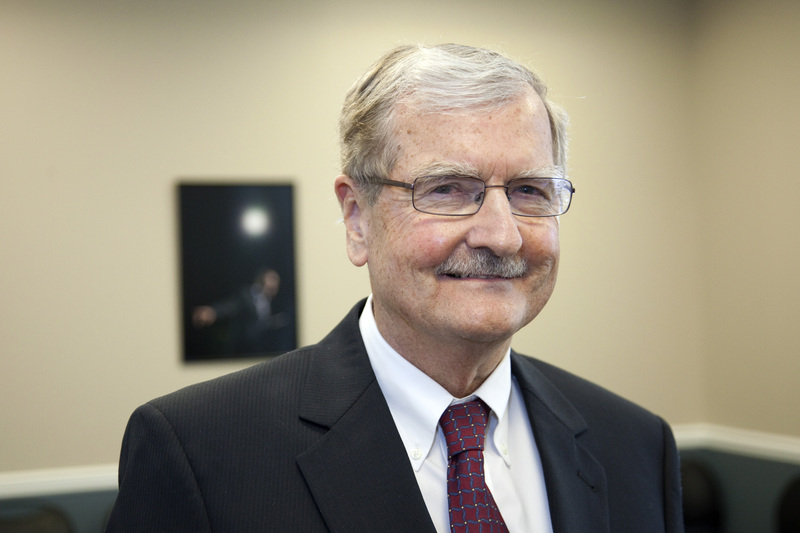 In the case of Cuba, Stanley N. Katz, director of the Princeton University Center for Arts and Cultural Policy Studies explained to WhoWhatWhy how some segments of the US government benefited from the attack and subsequent withdrawal of diplomats from the Havana embassy. In contrast, the State Department responded to the alleged attacks in Uzbekistan with outright denial, stating that there has been “no incident” in Uzbekistan. With speculation rampant in Washington that Trump may be about to fire his Secretary of State, Tillerson may have acceded to Trump’s desire to curry favor with Cuban Americans who are opposed to any rapprochement with the Communist government in Havana. With no definitive explanation of why the State Department reported the incident in Uzbekistan as a fluke, it’s up to citizens to make a judgment call. Is the State Department acting as a transparent institution, as a Putin puppet, or something else? This incident has attracted a lot of attention, and points to one definitive conclusion: Uzbekistan remains important to both the US and Russia, and suspicion of Russia’s involvement in these sonic attacks is only heightened after the most recent incident. Related front page panorama photo credit: Adapted by WhoWhatWhy from ear (Obama White House Archives) and sound (endolith / Flickr – CC BY-NC-SA 2.0).